Rich in language and historical perception, yet compulsively readable, Golden Hill is "a remarkable achievement—remarkable, especially, in its intelligent re-creation of the early years of what was to become America's greatest city" (The Wall Street Journal). Spufford paints an irresistible picture of a New York provokingly different from its later metropolitan self, but already entirely a place where a young man with a fast tongue can invent himself afresh, fall in love—and find a world of trouble. 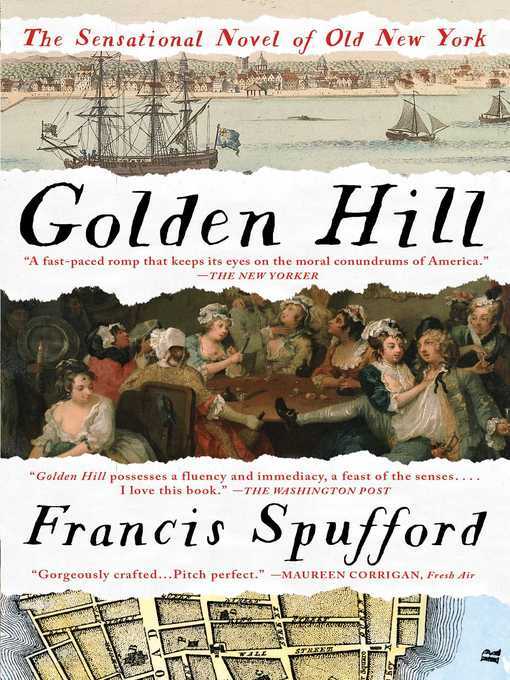 Golden Hill is "immensely pleasurable...Read it for Spufford's brilliant storytelling, pitch-perfect ear for dialogue, and gift for re-creating a vanished time" (New York Newsday).